“Curiouser and curiouser!” – coined in Lewis Carroll's, Alice in Wonderland and cherished by Gwendolyn from childhood, the phrase became a portal for Masin’s inquisitive mind and the oddity of life. Descendant in a lineage of musicians and teachers, Masin taught her first class at the Young European Strings School of Music in Dublin at age twelve. She was substituting for her mother (also director of the school). This was the definitive moment which ignited her passion for teaching. Masin has engaged in intensive research and development of music methodology and violin pedagogy since the age of sixteen. 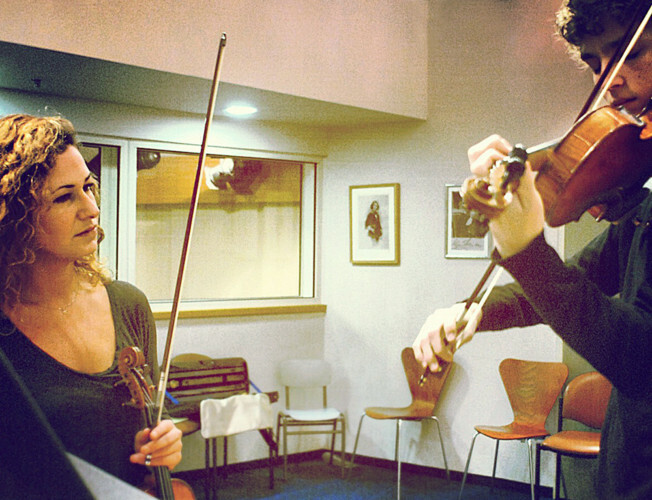 A number of renowned musicians, including pianist György Sebök, encouraged Masin in this field, and her research and work extends from beginner students to professional violinists. 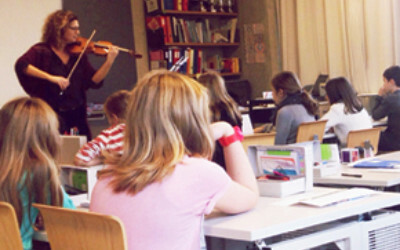 By twenty-one Masin had already written a manuscript on violin technique, pedagogy and music theory for young and beginner students. Gwendolyn expanded and refined this text after persistent requests from the parents of her students for a copy of the original work. 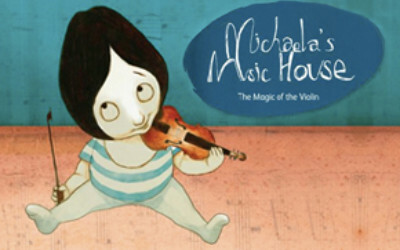 The now award-winning book Michaela’s Music House, The Magic of the Violin was born as a result. It uses imaginative stories to underline the technical details of playing violin, and can be adapted to suit the teaching of any string instrument. The work was published in 2009 by Müller & Schade. It has received sweeping praise in international press reviews and is recommended by music pedagogues worldwide. The German translation is published in 2018 and is accompanied by the author’s compositions. Masin is the youngest female author to date to compile and publish her own method. Masin‘s approach to teaching music to children as young as three involves assessing each child‘s natural affinity to music and instinctive response to his or her instrument. Masin‘s method also serves to acquaint the instructor with the innate physical and emotional aspects of the student. This evaluation is based, in short, in unassuming games that naturally engage the child. They are designed to glean and intuit a student‘s eye-limb coordination, short and long-term memory abilities and sound recognition.Masin obtained her Teacher‘s Licentiate from the Royal Schools of Music London, and further degrees from the Hochschulen in Bern and Lübeck. 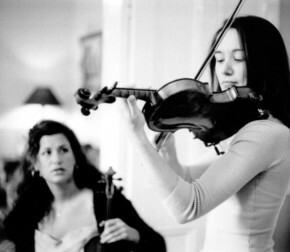 She holds a PhD from Trinity College where she has completed a doctoral thesis examining the similarities and differences of twentieth-century violin pedagogy. This work is entitled Violin Teaching in the New Millennium – In Search of the Lost Instructions of Great Masters or Remembering the Future of Violin Performance. 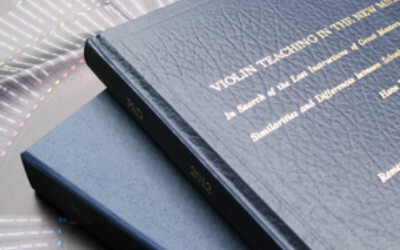 It addresses challenges to the artistic and technical heritage of violin pedagogy and playing – challenges that threaten the ability and opportunity for young players to develop as well-informed musicians whose technical and artistic decisions are rooted in the accumulated wisdom of centuries of violin playing. Although a number of these issues have been discussed in isolation by other authors, this is an attempt to present them in a broad historical and cultural context, and to make specific recommendations about how their consequences might be ameliorated. Masin is Professor of Violin Studies at the Haute École de Musique de Genève, Switzerland, since September 2013, and a long-standing member of the European String Teachers Association and Swiss Music Pedagogy Association (SMPV). She has her own class of students in Berne, is a visiting teacher at Young European Strings School of Music in Dublin, and has a loyal following of professional pupils who work with her during concert tours. Masin gives violin and chamber-music masterclasses at institutes and festivals throughout Europe and North America as well as performing lecture recitals. 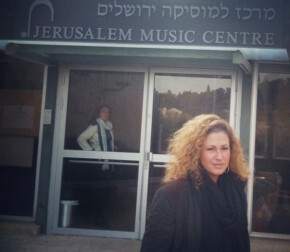 She has recently devised and begun to present her talk ’The 10th Muse – Inspired Teaching and Dialogue in Music’ at universities including Trinity College, Lisbon State, Georgia Southern, and at conferences such as EVENTUM (Thun). get performance and teaching dates.